Process development, device design and fabrication for a wide variety of early stage research projects with a focus on thin film and micro-fabricated devices. 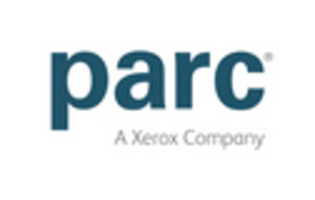 PARC is seeking a Process Engineer for a term position, with the opportunity to convert to a regular position. Process Engineers at PARC are responsible for device design, creative process development and sustaining of custom, cutting edge, micro and nano-fabrication technologies for thin film and large area devices. The technologies include MEMS, 2D array backplanes, custom sensors, and non-conventional transistors including thin film transistors and electrochemical transistors that support PARC’s government and commercial research activities. PARC’s fast paced research environment requires process development engineers to work simultaneously on multiple projects and teams. Work closely with scientists and other process engineers to define process and device performance targets. Define and execute process flows, develop new processes and drive continuous process improvement (CPI) efforts. Suggest process alternatives and evaluate different options that may provide improved properties. Define and implement robust process documentation and control; diagnose and resolve process problems. Characterize process output; define and perform appropriate test and measurements of devices and films. Maintain process equipment tools in good working order, diagnose problems and when necessary coordinate repairs. B.S., MS or Ph.D. in Electrical Engineering, Chemical Engineering, Mechanical Engineering, Materials Science, Physics, or equivalent experience. Minimum 4 years of hands on semiconductor or thin film processing. Experience with lithography, deposition (PVD (sputtering, e-beam), CVD, ALD), dry etching and wet chemical processing. Candidates must have excellent interpersonal, problem solving, and communication skills for successful inter and intra-group interactions. Strong knowledge of device physics; a-Si, LTPS and oxide transistors preferred. This is a light manufacturing position that requires extended periods of standing and walking in a clean-room environment. Evening or night hours may be required depending on project needs.